sabloxte-0 has no other items for sale. 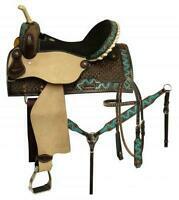 14" CIRCLE S 5PC PACKAGE Barrel Saddle Set With TEAL Painted ZigZag Border! 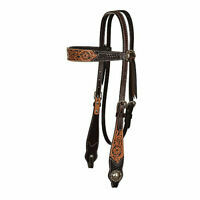 Circle Y Floral Tooled Flank Cinch with Billets - Regular Oil, 1 1/2"
Shipping to: Will arrange for local pickup only (no shipping). You can contact your seller to arrange to pay for and pick up your item. Will usually ship within 3 business days of receiving cleared payment - opens in a new window or tab.